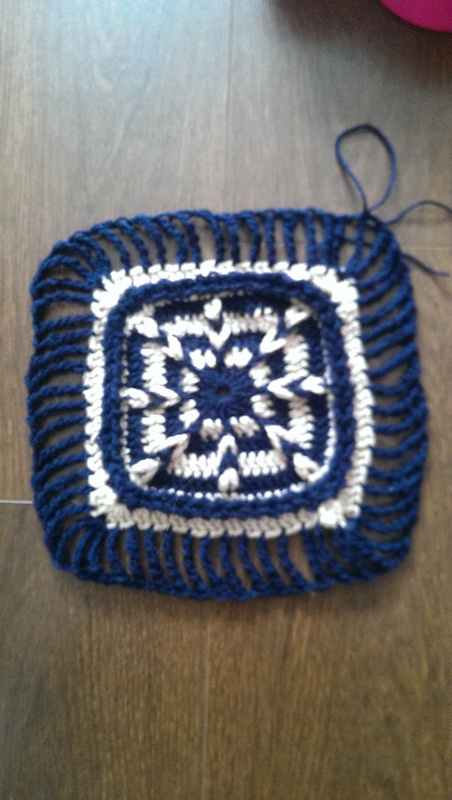 The block isn’t finished yet but I live the qtr stitch when it’s like this. 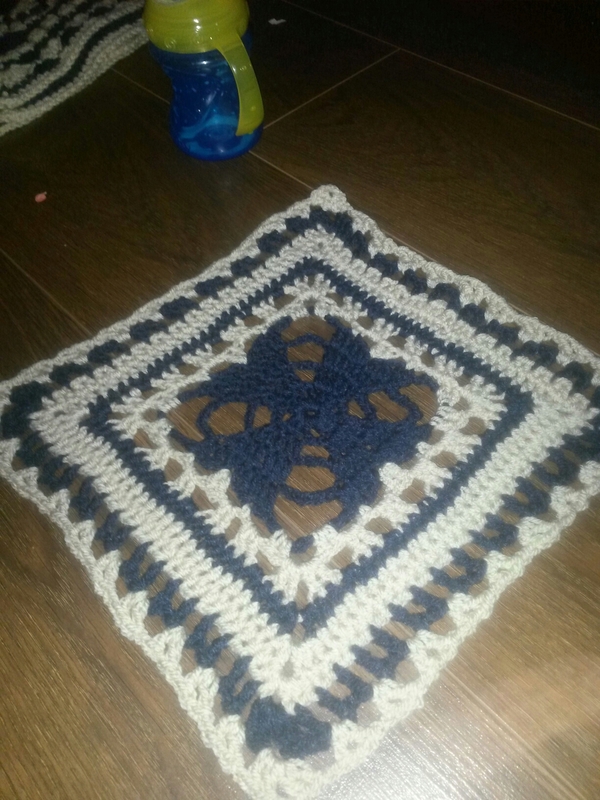 I’m tempted to make another but stop at this stage and use it as a centre block to another Afghan but adding a round of sc or dc after the qtr. I found it a little tricky to start off with, especially the Jacobs ladder but once I got into the swing of it, I was off. I’ll upload another picture of the finished block, once I’m done. Just finished up my second block for the Moogly CAL. 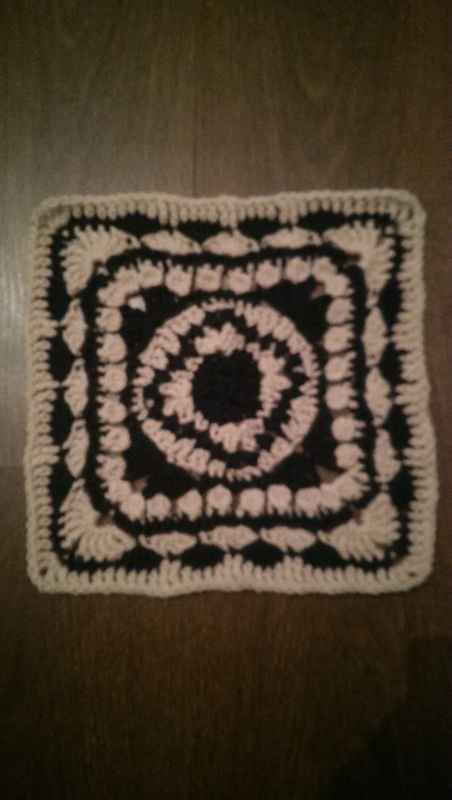 I’m pretty sure there is the same amount of rounds on each block but this one looks so much more cream 🙂 either way its still pretty and I enjoyed making it. 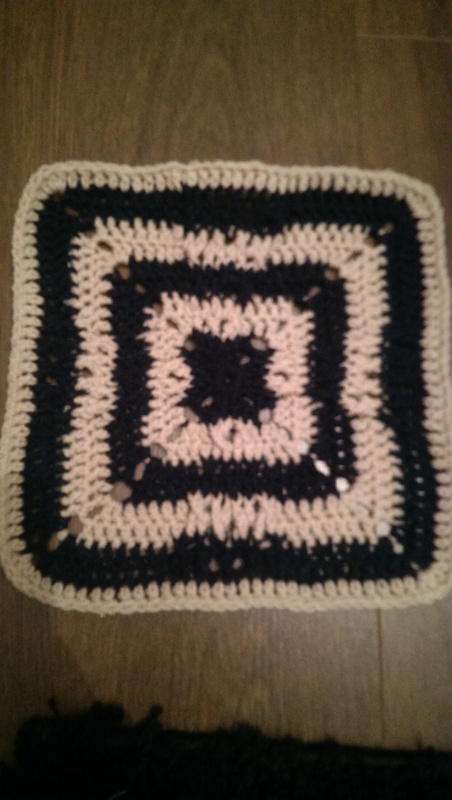 I have just this minute at 11.09pm finishined the Moogly block 3. It’s called the windmill square. 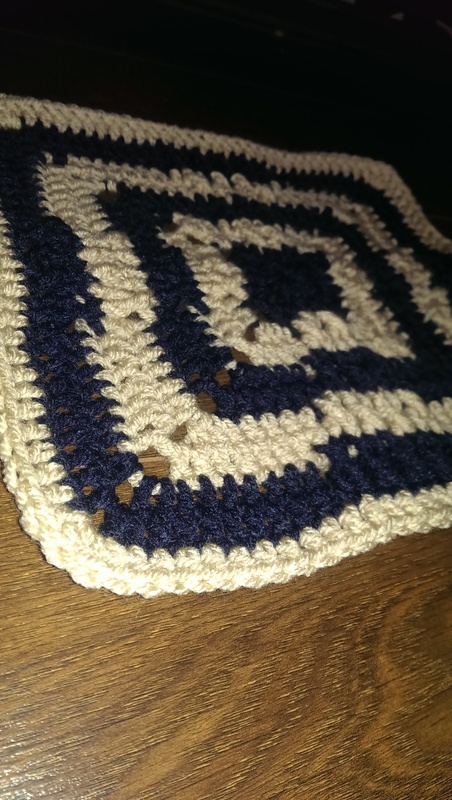 It uses front post stitches to achieve a 3D effect of what looks like windmill sails. Mines not a great picture but it’s there. 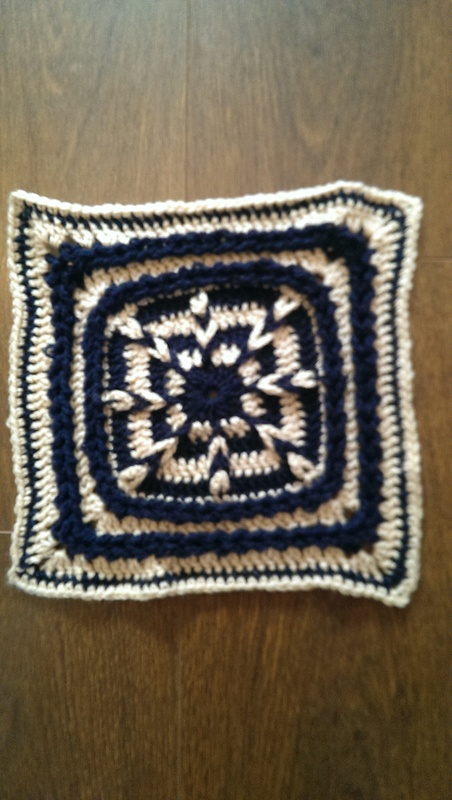 I’ve completed block 4 for this CAL. It’s been on the back burner for a little while now and as I was catching up on lots of WIPe today, I thought I’d finish this one up. I altered the last round as I truely didn’t get along with it, so instead I just simplified it down to dc around with tr in each dip if the last border and on the insides of corners. 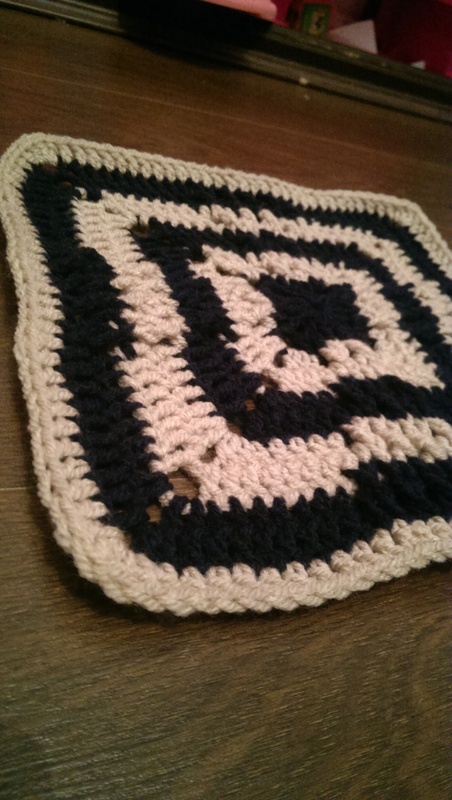 The most recent (a few days ago) square completed for this blanket is the continuous (never-ending) hearts square. I have it as square 5 in this CAL but it may well be different in the list. 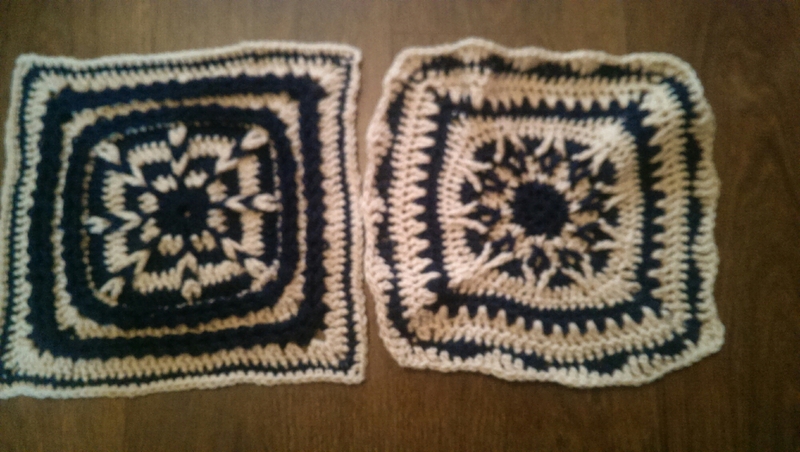 As before the same colours and yarn has been used to match the other square I have done. 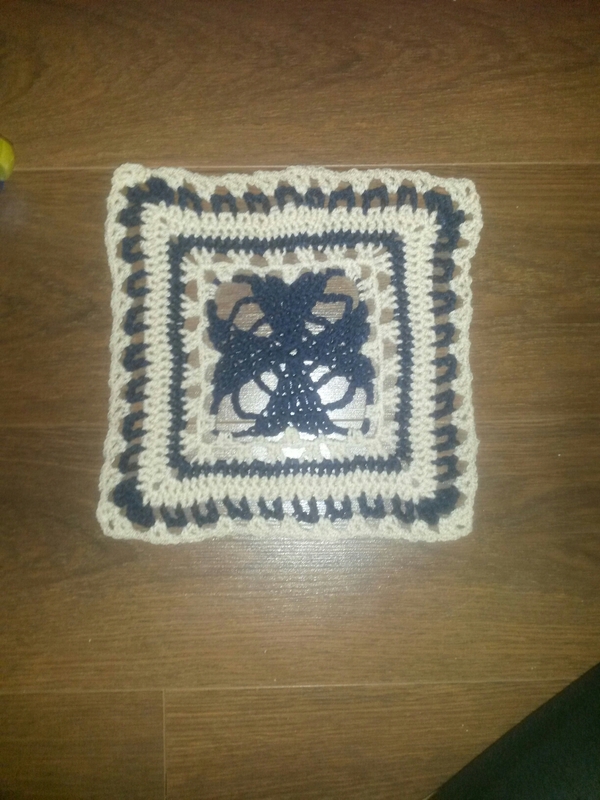 I find this square particularly ‘delicate’ as it has a lace type pattern so is not as blocky as the previous ones. Beautiful all the same and works up nicely.